There really should be a BuzzFeed quiz to tell you which test you’ll like more (or, more importantly, do better on), because I think a lot of it has to do with personality. My SAT score converted to an ACT score that was a full point better than what I’d gotten on the actual ACT. For me, my performance and my enjoyment of the testing experience were directly related—I enjoyed the SAT much more, and I got a much better score on it. The SAT was something I honestly would be fine taking again, just for the experience. I liked the way it made my brain work. It seemed to play to my strengths. The ACT, on the other hand, was like a brick wall that somehow turned my brain into a brick wall, too. But that doesn’t really give you any information on how you’d function taking either test, does it? So let me try and get concrete. Okay, so we’re about halfway to concrete. But it’s really hard to pin down sometimes what it is that makes a test click so much for some people and not others. I think aesthetics do play a big part in it, even in the case of something as simple as color. The SAT’s color scheme features a tranquil, relaxing light turquoise. It happens to be one of my favorite colors, but I also enjoyed it because it conveyed a vibe that was more, to be frank, “down with the youngsters.” The SAT has a “study blog run by a precocious but chic 17-year-old” air about it. The ACT is great if you want to be the opposite of distracted or welcomed by the color scheme. You might not notice it at all. It’s a standard black and white with a little red thrown in on some of the booklets and on the website. Sort of makes you feel like you’re taking an exam to get into the FBI, not prove you’re ready for college. For me, though, the color scheme of the ACT seemed really cold and uninviting, like a building with no windows. But for someone else, they might prefer that to the more lighthearted color scheme of the SAT, which can seem a bit at odds with the high stakes of the exam. Okay, speaking of lighthearted, I have to rave about the SAT’s essay section a little bit. They encourage you to reference anecdotes from personal experiences and personal values in your essay. It really made me feel like I could actually express myself in order to get my point across (crazy, right?). The SAT graders loved my essay, probably because I loved writing it. The opposite happened with the ACT essay. I mean, it was an okay grade, but I definitely wanted better. However, I didn’t expect better; while writing the essay, I didn’t feel like I was getting the opportunity to showcase any of my strengths. The feedback for the two essays was very different as well. The SAT graders were friendly and appreciative, whereas the ACT graders gave me a cryptic response that told me I never referenced the opposing argument even though I thought I spent an entire paragraph doing just that. If academic writing is your thing, you might enjoy the ACT writing section. Or, if writing isn’t your thing whatsoever, you would probably be fine with either; the essay parts of both tests are optional now (the SAT essay wasn’t optional when I took it). If creative writing is something you enjoy, I’d suggest trying out the SAT, at least for the writing section. Not all schools take it or care about it, but if you want to showcase your strengths through writing or are interested in a school that values strong writing skills, it’s definitely a great option. In the redesigned SAT, the score is out of 1600 again rather than 2400. Personally, I liked having both a reading and a writing section in the SAT, because that meant that ⅔ of the test played to my strengths. But for people who are more math-and-science-oriented, the old SAT could feel like a personal attack. Only ⅓ of the test plays to your strengths, and your essay is counted toward your total writing score, whereas on the ACT, it’s separate and doesn’t factor into your composite score. That worked out fine for me, because like I said, the SAT graders liked my essay wayyyy more than the ACT graders did. The ACT and SAT math sections differ in two important ways: first, the SAT has a no-calculator section, whereas on the ACT, you can use a calculator on every question (the math section was actually the only section for which I preferred the ACT to the SAT, and got a better score). Secondly, the SAT isn’t all multiple-choice for its math section like the ACT is. It also has questions called “grid-ins” where you have to fill in your own answers in the blanks rather than pick and choose between multiple choice answers. I don’t know if you’d view that as a blessing or a curse, but it definitely makes the SAT more interesting. It also has the potential to psych you out, which was my main issue with the SAT math section. Standardized tests are famously low-stress, right? Well, if you aren’t feeling stressed enough about your math ability, consider the SAT. It’ll get you to the sweet spot. If you are feeling stressed, maybe think about the ACT. It’s not easier, but in my opinion, it’s more straightforward. No curveballs. My favorite thing about the SAT was that it didn’t have a science section and was just ⅔ straight grammar, writing, and language. I live for that stuff. I also found the writing section inviting, and appreciated the general “attitude” of the instructions. In a stressful situation, all those factors make a difference. My favorite thing about the ACT was the math section. And honestly, the writing and reading sections weren’t terrible, either. But my ACT math score converted to 60 points higher on the SAT math section than I actually got. It would be great if I could mix and match the two tests, but unfortunately, that isn’t possible. So, what would I recommend? I think that everyone needs to think about the kinds of situations they perform well in and what they want out of an exam experience. If you’re more adaptable or right-brain, you might prefer the SAT. If you’re more left-brain, you might prefer the ACT. That’s just what I’ve figured out from my experiences on each test. But you can always take both and see what you think for yourself. You might learn something about the way you think and your test-taking strategies in the process! 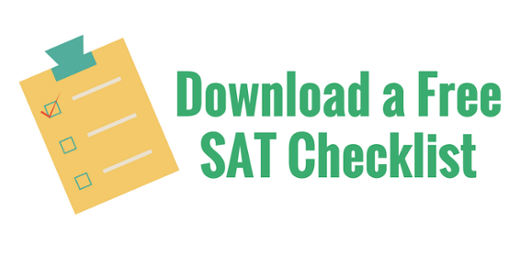 CollegeVine offers SAT and ACT tutoring to help you improve your score. Our students see an average increase of 140 points on their SAT score.